Matias Mendiola (mendio) added a comment to T63758: Grease pencil stroke detail depends on motion events. Thanks @Antonio Vazquez (antoniov) for the clear explanation. I agree with you that the main risk with this change is to lose the pleasant feeling that we have right now while drawing with Grease Pencil (more than 80% of the time used by the artist with Grease pencil is freehand drawing). Matias Mendiola (mendio) added a comment to T62871: Move rotate scale not working while in draw mode. . Lock Camera to View can be used for that. Matias Mendiola (mendio) added a comment to D4553: Fix T62465: Wrong user count after changing gpencil material. Bigger changes are happening in D4498, but this indeed is the correct thing to do in the current code. This pointer is an ID user and as such needs the user count to be updated. Then, if this fix the issue, why we need implement D4498? Currently, this patch changes the UI and this is not what we want. Why don't fix this issue and keep all as today? Matias Mendiola (mendio) added a comment to D4498: Only brushes with pinned materials have materials..
Matias Mendiola (mendio) added a comment to T62446: Mouse cursor disappears on Grease Pencil stroke. Matias Mendiola (mendio) added a comment to T62335: Grease Pencil object selection in outliner causing stuck object mode. Matias Mendiola (mendio) assigned T62357: Grease Pencil material dropdown not populating to Antonio Vazquez (antoniov). Matias Mendiola (mendio) added a comment to D4405: Grease Pencil Depth Order Names. Matias Mendiola (mendio) added a comment to rBbb9c9d0eaaab: GP: New Cutter, Constraints and Segment selection. Matias Mendiola (mendio) added a comment to rB08f15433ba11: GPencil: Cancel w/ RMB click. @Campbell Barton (campbellbarton) I agree on use RMB to cancel and not to confirm. Matias Mendiola (mendio) added a comment to T58777: [WIP] GP Bezier Tool Design. Matias Mendiola (mendio) added a comment to D4024: GP: Draw Mode: Add Arc Primitive. @Daniel Lara (Pepeland) (pepeland) it's a precision issue as the shape is drawn in screenspace. I'll try and fix both the curve and circle. Matias Mendiola (mendio) added a comment to D4012: GP: Fix line primitive when using to square behaviour. the keyboard shortcuts for these primitives work the same as Illustrator. For GP drawing, the alt key is used for straight lines which is different for GP primitive lines. What do you think? Or maybe discuss with UI team? Not sure about that, maybe @Matias Mendiola (mendio) can give you an answer. Matias Mendiola (mendio) awarded T56744: Proposal: Improving Brush Workflow in Blender a Love token. Matias Mendiola (mendio) awarded T57829: Grease Pencil: Optimize Drawing Engine a Love token. Matias Mendiola (mendio) added a comment to T57818: Grease Pencil: various issues. Matias Mendiola (mendio) added a comment to D3880: Flag object when is used in particle system to check in draw manager. @Antonio Vazquez (antoniov) @Brecht Van Lommel (brecht) Right now in Gpencil when you edit an object that has linked objects, those linked objects remains hidden while editing. Could this patch solve that issue? Matias Mendiola (mendio) added a comment to T57527: Grease Pencil: Draw operator always capture tools. Matias Mendiola (mendio) added a comment to T45042: Request for use of Grease Pencil use in the VSE. Matias Mendiola (mendio) added a comment to T57211: Annotation Tool Todo. I notice that we have the same problem with the list order and the Up/Down buttons. Do we do the same as in Grease pencil: Reverse the order and keep it fixed? Matias Mendiola (mendio) added a comment to rB18f117594004: GP: Add new Userprefs parameter to reverse layer list. Sure, if they find a way to fix the UP/DOWN arrows we will have a better solution here. What was the exact problem with this @Antonio Vazquez (antoniov) ? Another, even simpler solution, is to simply be able to set the Invert Order toggle for each UI list, so that for the GP layers it's set to bottom-up by default, but in most other places it's set to top-bottom by default. This seems like a much simpler solution that requires less workarounds and special cases. I don't have problem to enable the option by default, but I agree with Daniel that this could bring more confusion on how list order works in Blender. I'd love a more comprehensive solution. Matias Mendiola (mendio) added a comment to rBa33034cc3fd1: UI: move messages and running jobs to top bar..
Matias Mendiola (mendio) added a comment to D3725: Add fixed width for popover menu headers. If anything, we could explore changing the way other popovers are displayed where the header text doesn't change. @William Reynish (billreynish) I noticed, that with our current popovers it's not clear when a popover merelly display a bunch of settings and when is a real selection from a list. Matias Mendiola (mendio) added a comment to T56702: Blender 2.8: Left Click Select. 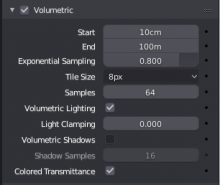 Matias Mendiola (mendio) added a comment to T56744: Proposal: Improving Brush Workflow in Blender. @William Reynish (billreynish) : we all agree in grease pencil team that separate tools from brushes would be a great workflow improvement. At one point, we discussed having a separate set-up screen for setting input and device preferences, which only appears the first time you launch Blender. As you say, most users are not likely to change those settings in every launch. They would still be in the Preferences of course, if users change their minds. Matias Mendiola (mendio) added a comment to T56510: Blender 2.8 Splash Screen Design. Matias Mendiola (mendio) added a comment to T56475: Proposal: Workspaces & Modes. @venomgfx @William Reynish (billreynish) , for 2D animation workspace we have an additional problem: not only we need to swith the workspace to Draw mode (that should be the actual mode for this workspace) we also need to delete the default cube and light and add a new Grease Pencil object just to start to work on something. Matias Mendiola (mendio) added a comment to T56263: Crash when sculpting a GP object with animation. Matias Mendiola (mendio) added a comment to rBc8cf0e10e082: Annotations: Show "Stroke Placement" options in the topbar again. I think the option is not too complicated and it can be useful in many cases, specially for addons. I would keep it. Matias Mendiola (mendio) added a comment to T54896: GP Branch: UI design for topbar/tools integration. I don't get the viewport thing. Everything is visible in the viewport, of course. Same goes for strength, radius, stroke settings, etc. I can't see that the stroke placement thing is different here. The important thing here is that these settings change the behaviour of the active tool, and so it's a tool setting. Great! The tool settings & top bar settings are coming together nicely. I think you've done very well with the GP and annotations UI. To make more improvements, we really need to work on the underlying tool/brush system in Blender. One of the main issues currently is that tools are not brushes, which creates a weird sync issue where the brush can get out of sync with the active tool. This problem exists in Sculpt mode and all of Blender's brush modes too, and is not a GP problem. I spoke with Campbell a while back, and he has ideas on how to make this nicer. Would be great to put all the tool settings in the top bar. You have Brush Curves and Options. we could handle these just like the Sculpt Mode popovers. The toggle to switch between the compact material list vs the icons would be really nice to place inside the material popup itself. Right now it's a bit inelegant to have this top level. Don't know how easy that is though. @William Reynish (billreynish) yes, I've been working on icon_geom.blend file to port there Aslam icons design for Draw mode, and I also adapted the icons that we've already been using for Sculpt and Weight paint mode and it turn out they work well together! I just only had to make a few tweaks for better visivility at small size and some color changes to follow the new icon design. what is the problem with these icons theyre great! @William Reynish (billreynish) : @Antonio Vazquez (antoniov) is working right now on the toolbar for Grease pencil. We already have the icons for draw mode, but we also need icons for Sculpt mode and Weight paint mode. Could you help us with this? Matias Mendiola (mendio) added a comment to T55621: Annotation Pencil Design. IMO for notes simplicity the stroke thickness should be fixed by default, without use the pen pressure. Pressure could be activated by the user only if needed. Matias Mendiola (mendio) added a comment to T54951: Properties Editor Design. Full disclosure: In this example I also removed all the separators in the layout. Since I believe they add noise, but that's a separated discussion. Matias Mendiola (mendio) added a comment to T54943: Blender 2.8 Defaults. Matias Mendiola (mendio) added a comment to T55162: Blender 2.8 Blender Keymap changes. Given that a lot of people are missing the quick access to Search with the spacebar, and that the accent/grave key will be a problem in keyboards other than english, why not use the large empty space that now we have over the topbar and put there an easy accessible general search box? Search is really important feature to old and new users in Blender and this way it will be more visible and the users will not have to use any key to open it. Matias Mendiola (mendio) added a comment to T54885: 2.8 UI Tools: Toolbar Ordering. 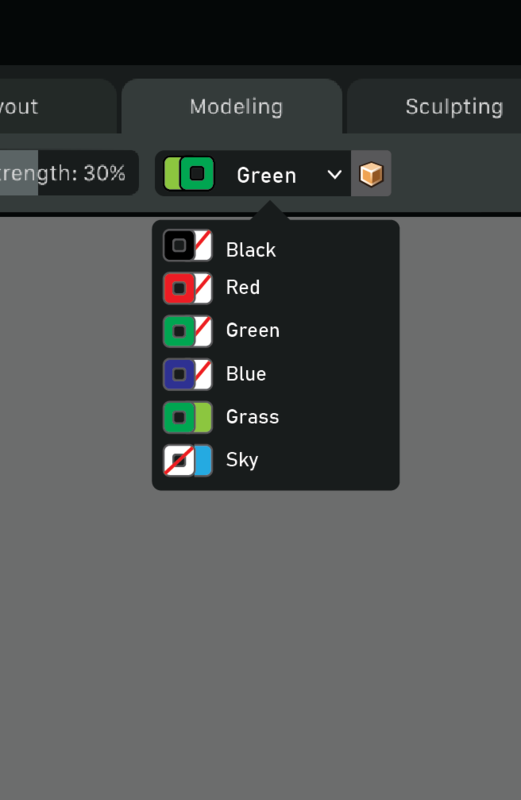 Matias Mendiola (mendio) added a comment to T55445: UI: Add custom properties panel to materials. I get the point, but you are missing that the whole industry is talking about "Grease pencil", and change the name now could not be an smart marketing move for Blender. Exactly, and the name Grease Pencil will keep only for the new Object in the 3D viewport. For Note tool the name should be something else like: Quick notes, Notes, or annotations. Matias Mendiola (mendio) added a comment to T55410: Review Antialiasing support. We need a separate AA parameter for Gpencil in the preference because we need it at 4 minimum by default, and we cannot force all Blender UI to use that default for performance reasons. It can be very useful also sometimes for speed up animation with Gpencil to have a way to turn on/off that value in the viewport, maybe in Viewport Display panel. Matias Mendiola (mendio) added a comment to T55018: Documentation for 2.8 (WIP). 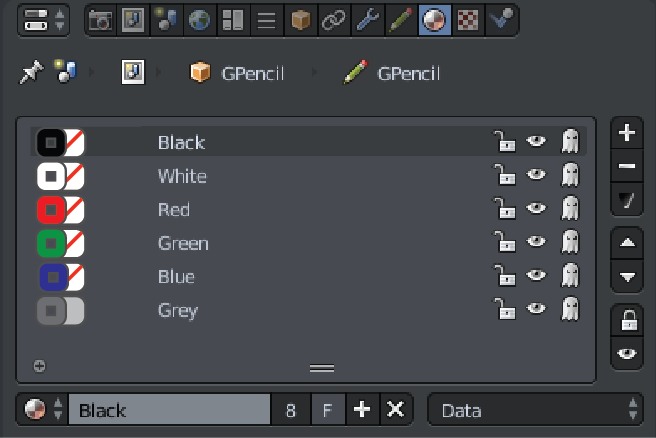 @dark99 , no, there is no special editor for Gpencil. It work as any other object in the 3d view. I'm lost, Grease Pencil is an editor or not? GP needed an editor shortcut ? good point Antonio, so we need to show always both: strokes and color, but in a less visually intrusive way than the diagonal red line over white background. push it a little further: only stroke, only fill and mixed color icons. What do you think? I've tested with the list expanded. I suggest to invert the stoke and fill order (stroke to the left) because is how G-pencil always use to work. Thanks @David Kozma (kynu), any help is always welcome. I think your very thick line for stroke color is what we are looking for and really like the idea of showing clearly when the fill or strokes colors are not used. Excellent @Joshua Leung (aligorith) ! For better consistency. Could be possible to use this kind of material visualization for the G-pencil materials in the properties editor? Yes, I like the proposal, but problems arise when we expand the list. #1. IMO is clearer if we show in the color selector only the material assigned to the selected object. If you want to use the same material in different objects, the user must first add that material to the object's material list in the properties panel. After some talks with Daniel we agree with you on simplify the way we select the active material. Forgot to mention that we also have an special weightpaint icon for Greasepencil. It should be diferent from the regular icon weight paint because it interact with the points of the Gpencil strokes and not meshes. Matias Mendiola (mendio) removed a watcher for Code Quest: Matias Mendiola (mendio). Matias Mendiola (mendio) added a watcher for Code Quest: Matias Mendiola (mendio). Matias Mendiola (mendio) added a comment to T54662: Tool Icon Design. @William Reynish (billreynish) now that you're gonna change sculpt mode 3D icons. For better consistency it would be great to change also the icons for the new Grease pencil sculpt and draw modes (currently in their own branch but ready to merge to master 2.8 soon). There is also some other icons needed for the Gpencil UI. Please contact us if you need more info about. Matias Mendiola (mendio) added a watcher for Grease Pencil: Matias Mendiola (mendio). Matias Mendiola (mendio) added a comment to T48674: Cut and paste strokes (CTRL-X / CTRL-V) in Grease pencil malfunctions. Sorry for the confusion!, good to know. You´re right CTRL-X is for dissolve. Matias Mendiola (mendio) created T48674: Cut and paste strokes (CTRL-X / CTRL-V) in Grease pencil malfunctions. Matias Mendiola (mendio) created T48662: Blender crash using node groups connected with displacement output in some situations. Matias Mendiola (mendio) added a comment to T48613: Bump mapping in cycles is not shown on the viewport when the material use node groups. Matias Mendiola (mendio) created T48613: Bump mapping in cycles is not shown on the viewport when the material use node groups. Matias Mendiola (mendio) created T47878: Grease pencil cursor size not shown on the viewport when sculpting strokes. Matias Mendiola (mendio) added a comment to T43942: Grease Pencil: Copy/Paste don't work between different GP Datatblocks. You're right! This happens only when one of the datablock editmode is disabled. Matias Mendiola (mendio) created T43942: Grease Pencil: Copy/Paste don't work between different GP Datatblocks.